Chicago is infamous for innovation. The vacuum cleaner was invented by Ives W. McGaffey in Chicago in 1868 . The concept of mail-order retailing was created by Chicago innovator Aaron Montgomery Ward in 1872. Furthermore, the birth control pill was first introduced by Chicago company G.D. Searle in 1960. A new generation of mentorship and venture capital has been blowing through the Windy City. As such, Chicago’s startup ecosystem has been described by Forbes as being “on fire” . Chicago’s universities have been formalizing their entrepreneurship programs, enabling students to not only get an impressive education, but to put their innovative ideas into fruition. Incubators have been fostering this innovation by providing tools, networking opportunities, and support. The present article will give examples of the innovations occurring in Chicago and, accordingly, will discuss the R&D Tax Credit opportunities available to support startups. The new federal tax law is extremely beneficial for startups . For the first time ever, a qualifying startup can use the credit against $250,000 per year in payroll taxes beginning January 1, 2016. Essentially, with the new startup provision, companies can claim the credit even if they do not pay income tax and regardless of their profitability. Chicago is the Midwest’s major hub for the medical industry . Providers include North Shore, the University of Chicago, Rush, Northwestern, and smaller community hospitals. Furthermore, the American Medical Association and the American Hospital Association have their headquarters downtown. Although Chicago has immense healthcare expertise in the area, they were in need of a community that would foster health technology (healthtech) innovation. To help fill this void, Matter, an incubation hub for medical and health technologies, is helping advance Chicago into a leader in the healthtech industry. Since healthtech startups have more specialized needs than typical startups, the goal of Matter is to utilize their mentors’ expertise to help strengthen healthtech startups. This Chicago startup’s goal is to make eye care more accessible and affordable. Opternative is the first online refractive eye exam and lens prescription service where, in 25 minutes, a person could take an eye exam from anywhere. After, they would be able to receive a prescription within 24 hours if need be. Opternative raised a $3M seed round in 2014 with participation from Tribeca Venture Partners, Chicago Ventures, and other venture capitals. 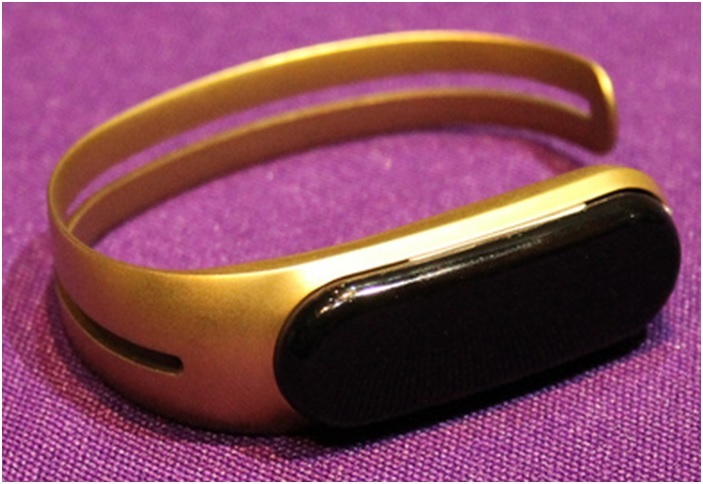 Mira Fitness is a startup company that created a chic “smart ” bracelet which tracks the user’s daily activity and connects with an app where users can enter other healthy activities they do. Additionally, the program motivates the wearer to take healthy actions throughout their day. It has a fun feature called “boosts” where they use positive reinforcement when the user completes their goals. Mira already raised 125% of their $10,000 Kickstarter goal and, as a result, sent out their smart bracelets to investors. GoHealth is a private health insurance marketplace that works with over 300 carriers to help consumers compare health insurance quotes. The passing of the Affordable Care Act helped the startup grow exponentially. Consequently, it has helps over 30 million people shop for health insurance coverage for free, as GoHealth charges a fee to its insurance partners in exchange for exposure to their millions of users. Consumers also have the ability to purchase insurance directly through GoHealth’s website. Notably, the startup raised $50 million in private equity in June 2012. Retrofit is a platform for data driven weight management. It works to approach weight loss by correcting bad eating habits. Retrofit provides professional advice through Skype and remote monitoring devices. Through this 12 month behavior modification program, their average client loses 1.2 pounds per week. Retrofit has treated over 50,000 weight loss patients successfully to date. They have raised over $15 million in three rounds of funding. This startup, launched in 2014, helps people with diabetes better manage their condition. Livongo’s system includes a glucose meter to send user information to be analyzed and monitored by their diabetes experts. Users have the ability to share data with their doctors, family, or friends. Most importantly, they are alerted when their blood sugar fluctuates. Livongo has raised $30 million from their Series A and B funding rounds from VC’s like General Catalyst Partners and Kleiner Perkins Caufield & Byers. They have signed several large clients such as Mission Health System and Office Depot. SwipeSense is a portable and trackable hand sanitation device that dispenses FDA approved alcohol gel with just a swipe of the user’s hand. As the gel is dispensed, usage data is transmitted to the web-based app to record usage for each healthcare worker. SwipeSense’s goal is to reduce hospital acquired infections that lead to deaths and massive costs in the healthcare system. Since poor hand sanitation is the largest driver of hospital acquired infections, SwipeSense will help bring accountability and transparency to hand hygiene in hospitals to incite behavior changes of hospital workers, lowering infection rates. SwipeSense raised over $9 million this June (2016) in Series A funding from New Ground Ventures. Procured Health’s goal is to drive savings in hospital supply spend by utilizing information from public data, hospital members, and the FDA. To do so, they offer a suite solution with three web-based products that offers features like market and clinical information for medical devices, a workflow solution for the hospital purchasing process, and a savings discovery tool. Led by FCA Venture Partners, Procured Health raised $4 million in Series A funding. Additionally, they welcomed a managing partner of FCA to their advisory board. ReliefWatch’s simple software platform helps clinics in the developing world provide improved patient care. Its cloud platform tracks supplies and medical equipment. It also allows non-governmental organizations (NGOs) to report inventory records and disease cases through text messages and automated voice calls to let medical distributors know what areas need which drugs or supplies. ReliefWatch recently signed a contract with the country of Liberia to monitor tools and medicine to fight Ebola. This year (2016) they won first place at Unilever’s Sustainable Living Young Entrepreneurs Award. Education, one of the industries most resistant to change, can severely benefit from technological innovation. Educational technology (edtech) has become one of the most popular sectors in Chicago and beyond. It has been gaining recognition partially due to the fact that money has been pouring into it from multiple sources. In the first half of 2015 alone, private investors poured $2.5 billion into edtech companies. Edtech innovation is likely to accelerate in the coming years due to educational institutions now accepting the introduction of new technologies. Innovative technology will offer more personalized approaches to education. Some benefits of incorporating innovative technology into education would be a more adaptive delivery of curricula, improvement of outcomes, and that it will better prepare students for tech-driven workplaces. With the national concern of the price of higher education, people are hopeful that innovative technology could reduce these costs. Additionally, the Research and Development (R&D) tax credit is available for startup companies in Chicago that innovate in educational technology. There is a large network of edtech startups and investors in Chicago, encouraging entrepreneurs to continue to combine technology and education to allow for an environment of innovation, growth, and learning in the Windy City and beyond. Simply enough, clusterFlunk enables students to talk to other students in their classes. Through clusterFlunk, students can instant message, post to their class’ walls, and upload and download files such as study guides and lecture notes. With clusterFlunk, students also have the ability to sell textbooks, calculators, parking spaces, furniture, or post apartment subleases. In July 2015 clusterFlunk raised $1 million in funding from Lightbank. The goal of this startup is to essentially create a place where students can receive help when they need it from classmates via peer to peer feedback as well as from their teachers. 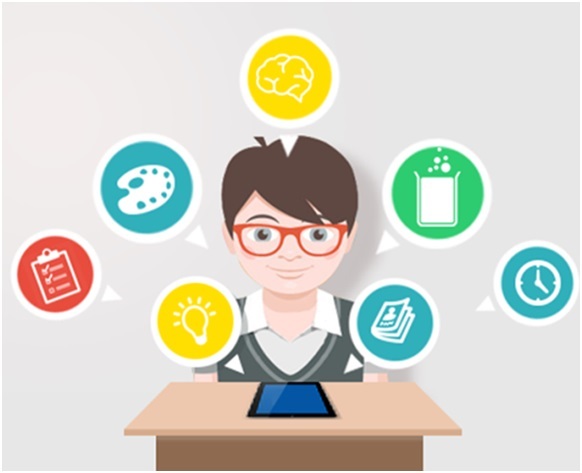 Additionally, the app enables teachers to create assignments through the iPad and, furthermore, use the teacher dashboard to monitor progress of the class. Rather than teachers depending on whose hand is raised to assess student understanding, they can utilize the app to identify those struggling and provide feedback via the iPad. Classkick believes their company will help narrow the education achievement gap. In early 2015, Classkick raised a $1.7M seed round from Kapor Capital, Lightbank, Yammer founder Adam Pisoni, and other Venture Capitals. MentorMob is an online learning platform that helps users learn skills of interest. Finding that one of the most commonly searched phrases on Google is “how to…” (learn a skill), MentorMob provides free learning on the skill by providing crowd curation. Users can create “learning playlists”, which consist of websites, videos, blogs, and more. MentorMob raised a seed round of $220K. BenchPrep, founded in 2010, is an online learning platform that helps students prepare for tests through interactive courses. Users are able to download the free BenchPrep web and mobile app on any device. Interestingly enough, BenchPrep partnered with McGraw Hill, John Wiley & Sons, and the Princeton Review to prepare students for important standardized tests such as the SATs, GREs, ACTs, college admission tests, professional certifications, and licenses. BenchPrep has raised $8.2 million to date with its last fundraise of $6 million led by New Enterprise Associates with participation from Revolution Ventures. Curiosity is a learning platform that encourages users around the world to learn something new on a daily basis. They create engaging topics of all types for learners every day and strive to make it easier to find, filter, and engage with educational content. Also with their free app, users have the ability to learn through videos, long-form, short-form, memes, screen casts, and more to learn about specific areas of interest. Curiosity raised a $6 million Series A round in late 2014 from Discovery, Chicago Ventures, and 3 other VCs. In July of 2014, Pearson announced a strategic partnership with Chicago’s entrepreneurial hub for digital startups, referred to as 1871 . Interestingly enough, the name 1871 refers to the great innovation that ensued following the Chicago fire of 1871. 1871 brings forth Chicago’s most innovative designers, engineers, and entrepreneurs who are shaping new technologies. Currently, 1871 is home to 450 startups. Public Schools, City Colleges, and many other K-12 and higher education institutions in Chicago have long-standing relationships with Pearson. This partnership will enable the company to further collaborate with local education technology startups. Their edtech accelerator, Pearson Catalyst for Education, works closely with startups in the Chicago area. Pearson Catalyst for Education accelerator program identifies the most promising education startup companies and matches startups with Pearson brands to deliver three-month pilot programs. Pearson offers startups access to their resources such as product experts, innovators, industry veterans, and the opportunity to work closely with a Pearson brand. Pearson’s global reach and vast experience in the education industry can be extremely valuable to the startups in the Chicago community. This partnership will address some of the largest challenges in education, stimulate greater innovation, and improve learning outcomes. 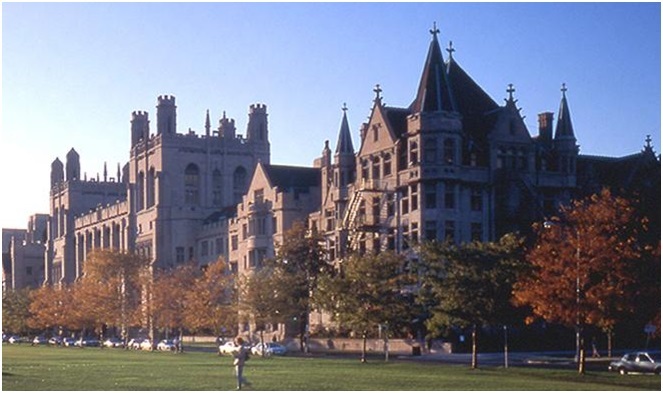 The University of Chicago created an innovation center, called the Chicago Innovation Exchange (CIE) which will be a hub for multidisciplinary collaborations and provide support for business start-up activities. The CIE brings together the University’s expertise in research and resources from a network of world-class entrepreneurship programs to drive innovation in a range of areas. The CIE fosters innovation and commercialization through shared space, connections, and community. The CIE earned more than $300 million in capital raised by their New Venture Challenge startups. Northwestern University’s groups such as EPIC, Kellogg Entrepreneurship Club, Northwestern Student Holdings, and Design for America provide opportunities for students to explore entrepreneurship. EPIC provides a hands-on startup experience for students. The goal is to empower students by building on their innovative ideas. Through EPIC’s “Project Pitch”, students work in teams to translate their ideas into reality. This gives students the opportunity to work with students across all disciplines and helps them create new markets with their ideas. The Kellogg Entrepreneurship Club offers a wide variety of courses and learning opportunities from faculty members to students about the process of entrepreneurship through a series of activities and events. Their goal is to promote entrepreneurship and innovation by inspiring, connecting, and empowering students. Northwestern’s Innovation and New Ventures Office (INVO) helps students as well as faculty with the commercialization process. INVO helps them secure intellectual property rights and work with both profits and non-profits to develop and commercialize the innovations occurring at Northwestern. To build on Northwestern’s history of success in research, innovation, and discovery, the Garage is an on-campus space for Northwestern students to experiment, collaborate, and get their ideas as entrepreneurs built. This incubator has over 11,000 square feet of flexible space for workshops and classes, prototyping, 3D-printing, video conferencing, and lounge and meeting spaces . The Garage offers mentorships, programming, and resources to help groups develop and accelerate ideas. Additionally, they have a special partnership with Chicago Incubator 1871. Smart cities are an investment towards our future and provide many benefits to current and future residents. Urban centers are continually growing and the utilization of smart technology will allow cities like Chicago to further advance. With the development of this type of technology there are many opportunities available for the improvement and growth of smart cities. Chicago’s city government is embracing the idea of Chicago becoming a smart city. Chicago’s City Hall is in the middle of developing a program where they install beehive-shaped sensor boxes throughout the city. These sensor boxes would “absorb data on everything from air quality and flood-prone street corners to asthma clusters ”. This urban sensing project, referred to as the Array of Things (AoT), involves a network of interactive, modular sensor boxes. They will collect real-time data on the city’s environment, infrastructure, and activity for research and public use. It will measure factors such as climate, air quality, and noise that impact the city. This initiative will potentially enable researchers, policymakers, developers, and residents to work together to take specific actions to make Chicago healthier, more efficient, and more livable. Furthermore, it will support the development of innovative applications. According to their website, the AoT is not interested in monitoring individuals’ information, only the city’s environment and activity. The nodes on the AoT will initially measure temperature, barometric pressure, light, vibration, carbon monoxide, nitrogen dioxide, sulfur dioxide, ozone, ambient sound intensity, pedestrian and vehicle traffic, and surface temperature. Additional R&D will help monitor other urban factors of interest such as flooding and standing water, precipitation, wind, and pollutants through improved sensors. Sensors monitoring air quality, sound, and vibration will be very useful in detecting heavy vehicle traffic. Additionally, temperature can be used to suggest the healthiest and unhealthiest routes and walking times through the city, or to study the relationship between diseases and the urban environment. Real-time detection of urban flooding can improve city services and infrastructure to prevent illness and property damage. Safe and efficient walking routes would be suggested by the AoT by measuring which areas of the city are heavily populated by pedestrians at different times of day to improve safety. The nodes will transmit data to a secure central database server at Argonne National Laboratory, making all data collected by AoT open, free, and available to the public. The data will allow individuals, organizations, researchers, engineers and scientists to study urban environments, develop new data analysis tools and applications, and inform urban planning. The many advances reported in this article are just a glimpse into the innovation that is occurring in Chicago. R&D tax credits are available to support innovative startup companies in the Windy City and beyond.